Now this is fun. 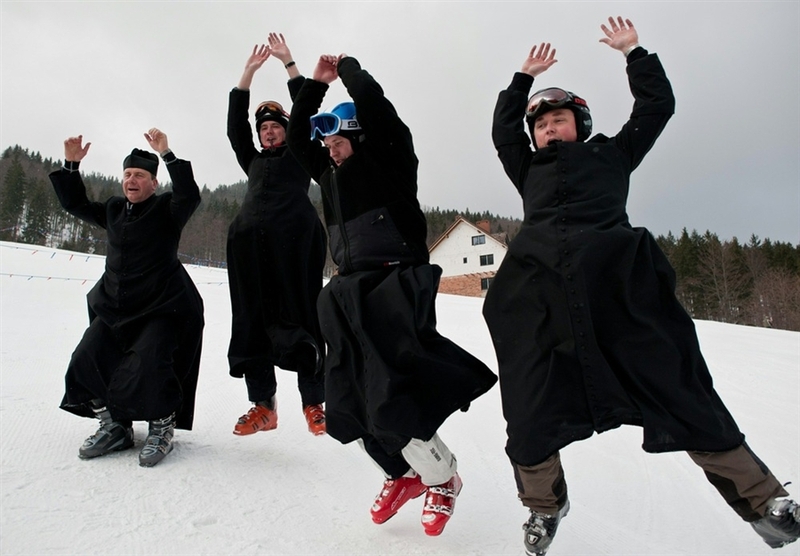 Polish priests competing on skis for a trophy in the John Paul II Cup. The competition was named after the beloved Pope because he used to ski. The traditional opening run is made while wearing their black cassocks.